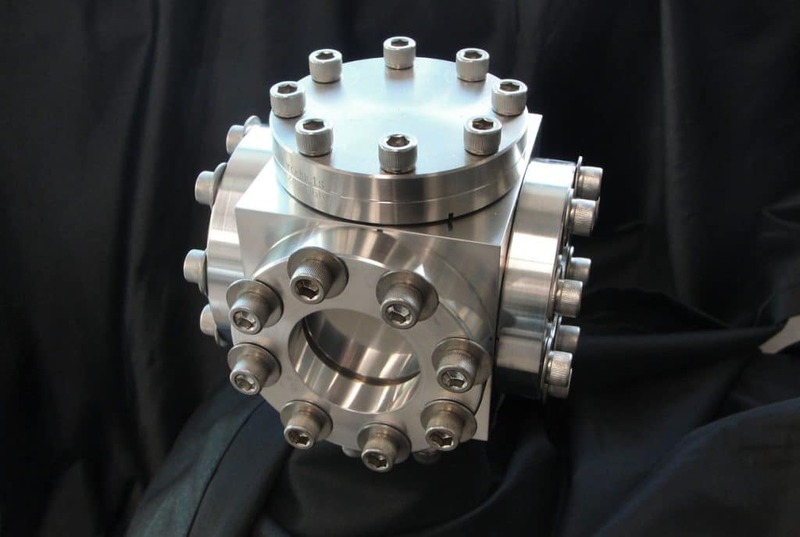 Patented bimetal technology expands the possibilities of materials and applications of UHV in all industries. The time-tested reliability of the stainless steel ConFlat® (CF) knife edge, with an aluminum flange body for weld up to an aluminum chamber. 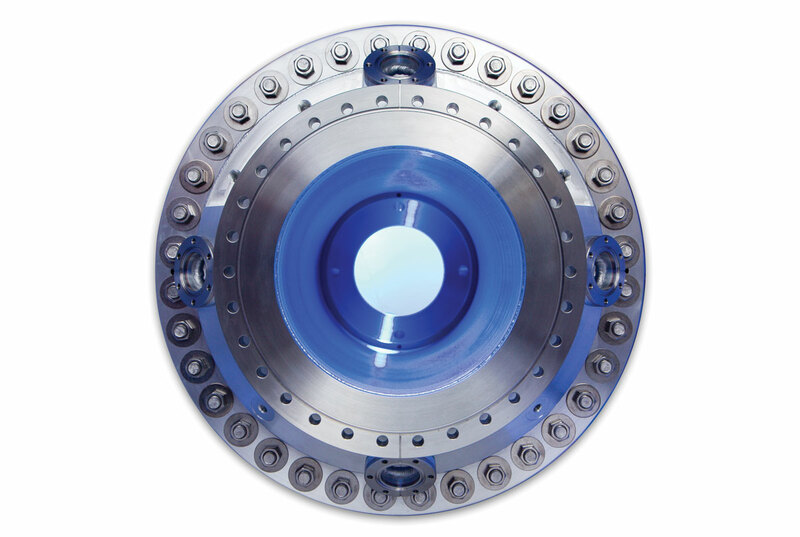 The non-magnetic Atlas CFTI™ offers the time-tested reliability of the ConFlat® (CF) for titanium vacuum chambers. Face-seal fittings with a durable stainless steel sealing face explosion welded to an aluminum body for demountable use with aluminum tubing. 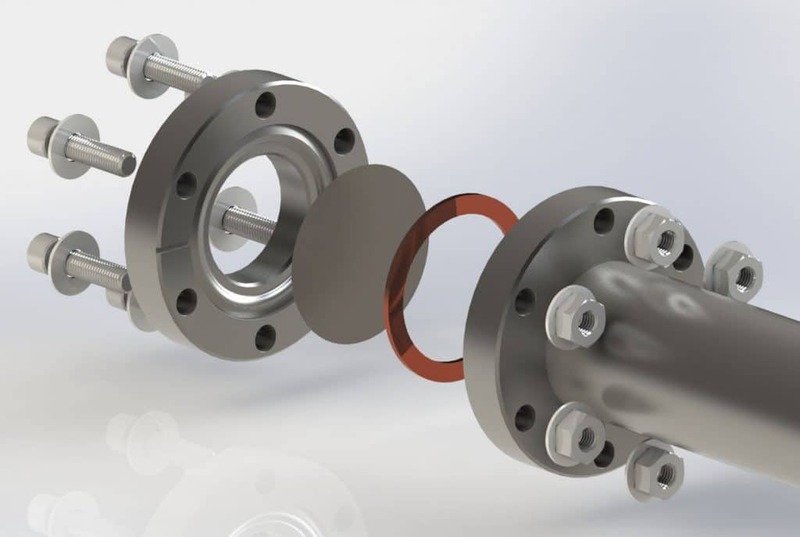 Atlas Ti-CR™ Titanium face-seal, offers a solution for gas delivery systems in the cryogenic and semiconductor industries. Metallurgical bonded dissimilar metal joints provide an all welded transition from one metal to another for cryogenics, ultra high and ultra high purity vacuum. A quick and easy way of enabling rapid tube joints to be made on aluminum vacuum systems. A back bevel on the knife edge improves the seal by making it more tolerant to thermal cycles as well as enhancing its durability. For demanding high or ultrahigh vacuum custom applications and bimetallic explosion welded materials we have a limitless source of solutions. Atlas has a broad prespective on metal joining with considerable experience in both explosion welding and diffusion bonding. Vacuum innovation and experience to pioneer the use of many vacuum materials and manufacturing methods to improve all applications. The advantages of aluminum include high thermal conductivity and thermal diffusivity, less H2, non magnetic properties, and low Z. Offer excellent performance for nonmagnetic, radio frequency (RF), and high thermal conductivity applications. The time-tested reliability of the stainless steel ConFlat® knife edge, with an aluminum flange body for weld up to an aluminum chamber. Quick Release & Claw and Bolt flanges provide a reusable, lightweight, and economical high vacuum system interface. 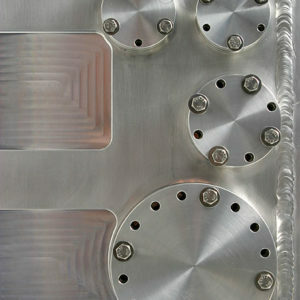 Machined aluminum components for precision applications. 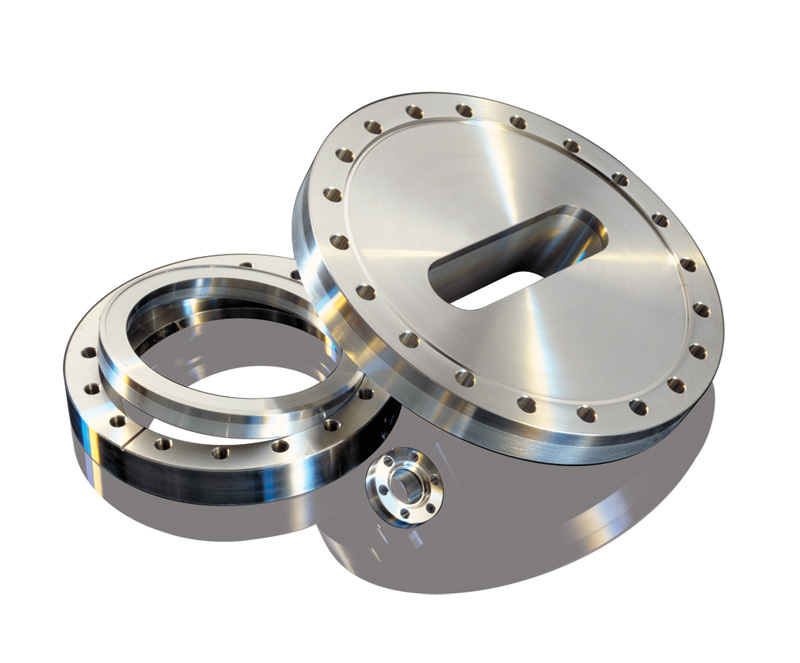 The titanium flange with the stainless steel knife-edge seal used for joining titanium chambers to conventional stainless steel flanges. Provides a consistent RF surface to reduce high order modes for RF transmission. Design, engineering and manufacturing experience for exotic and specialty metal chamber fabrication. Look to our considerable experience in integrating vacuum systems for improved performance. Mirror-like finishes, nanoplating and passivation for enhanced performance of your application. 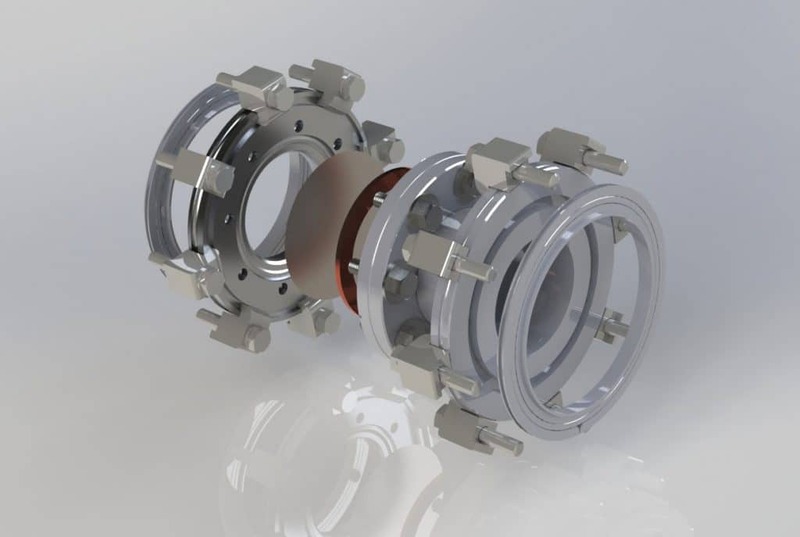 An ultra thin aluminum or titanium UHV window that allows for quick, inexpensive replacement in the field. An excellent alternative to beryllium. Modular high throughput X-ray spectrometer. The Atlas Window line-up offers solutions for economy, performance, and convenience. Residual, neutron induced, radiation in aluminum has a half-life orders of magnitude shorter than that of stainless steel for cyclotrons and nuclear reactors. A lightweight and economical alternative that is mounted on aluminum hardware and designed for welding directly into high vacuum aluminum chamber walls. For observation in vacuum and high vacuum applications, customizable and adaptable for industrial and scientific environments. 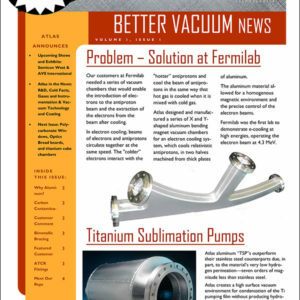 Material, Geometry, pumping methods, conductance… We know vacuum. No items currently in order. 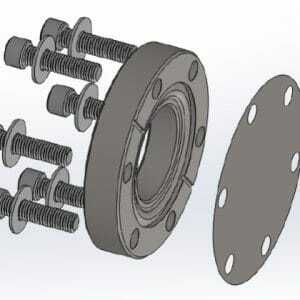 To add this product to your quote cart or for CAD file access, please login or create an account. Window metals made into a thin foil can be gripped by the Foil-Window Flange (FWF) . The pressure differential on each side of the foil allows the FWF to grip the foil into a drum-like tensioned head made of a thin foil trapped between the FWF and a standard CF copper gasket. When connected to a vacuum conduit, the FWF isolates two vacuum regimes. 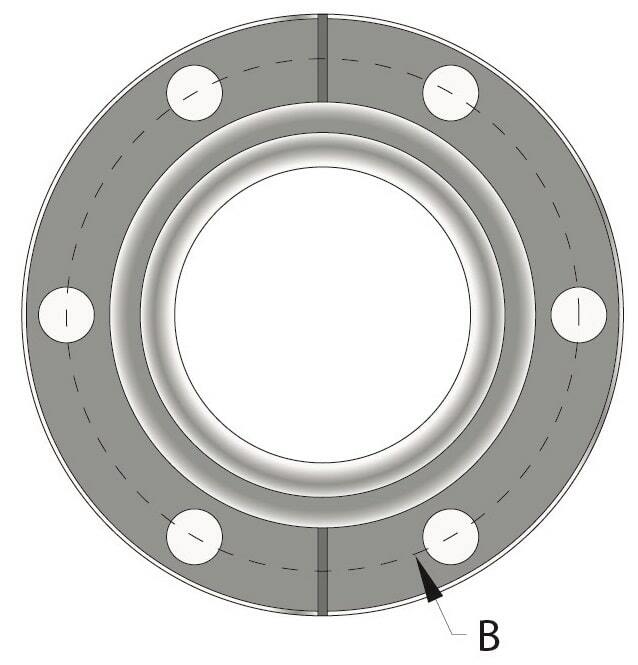 Foil Window Flanges can be used to prevent downstream failures to isolate different upstream vacuum regimes (i.e. Extreme High Vacuum XHV from High Vacuum HV). The foils are low cost and user-replaceable, enabling customers to determine minimum thickness through experimentation quite inexpensively. Brazed windows, on the other hand, discourage users from achieving minimum thicknesses because of the risk and cost of trial and error. Quick and inexpensive replacement on site. Eliminates the need for a fixed, brazed assembly. 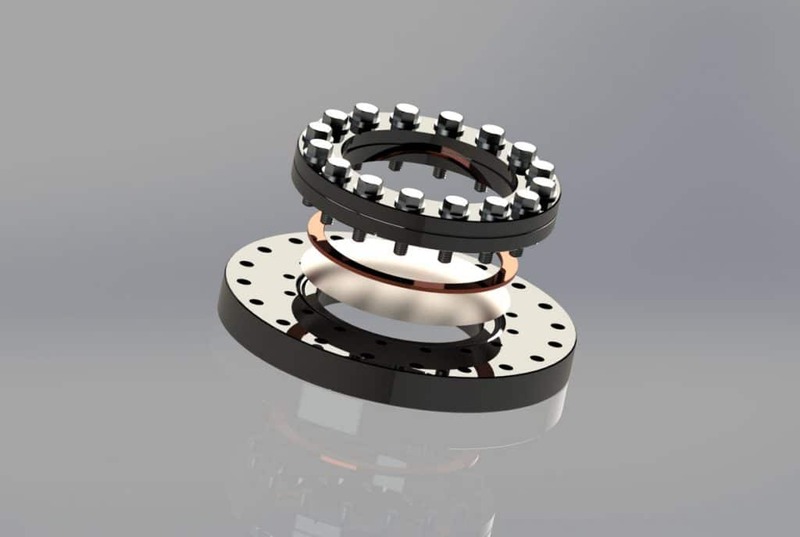 Retrofits with standard CF flanges, Zero Length Reducers and ISO flanges. Transmission efficiencies determined by user. Vacuum may be applied in either direction. 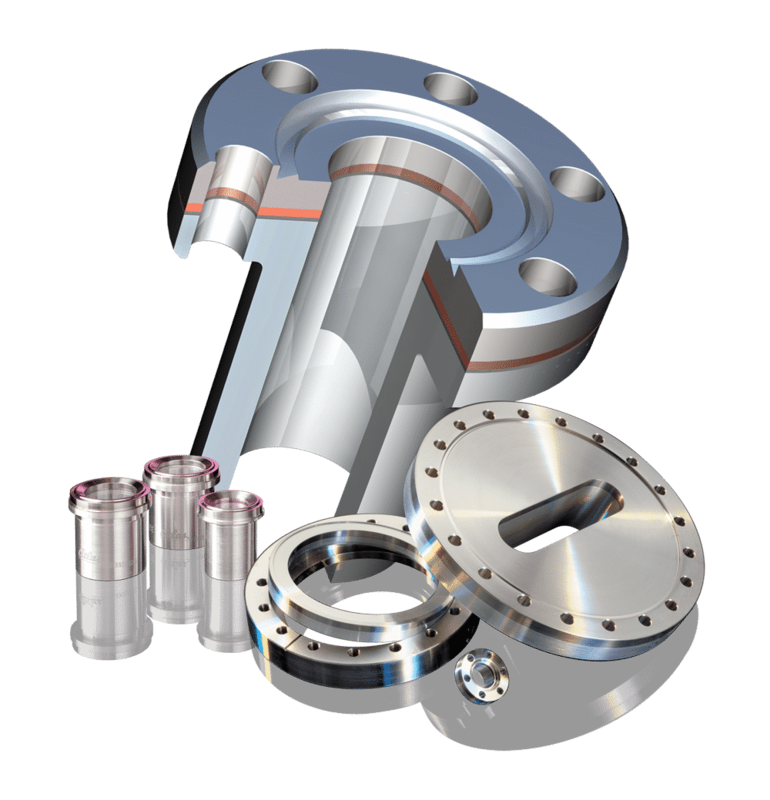 Our growing list of customers, taking advantage of our foil window flange, include CERN, Notre Dame, Fermi Labs and more. Click image above for larger version. Don't have an account? Request Access (or Log In). We have decided to make an aluminum lid for the chamber you fabricated for us last winter, as well as a lid for one of our smaller chambers. We are very pleased with the quality of your chamber and would like to improve the vacuum for this entire system. When I heard this morning, my immediate reaction was: Damn those Atlas things are good! We're off scale in the chamber with your multiple TSP's. Might be able to say that we're in 13 scale vacuum......very nice! You guys should go market the hell out of these... Congrats! The tailpiece with Atlas Al window worked very well. It held vacuum and performed as we had hoped. We were able to get some very good low noise scattering data in just a few minutes using the high intensity of the NOMAD beam line. We're just now analyzing the data. The Atlas chamber was delivered on time and is of very high quality workmanship, and is performing flawlessly. Atlas was terrific to work with on our recent order of vacuum chambers. Communication from the production supervisor was proactive and ongoing throughout fabrication, the quality of work was outstanding, and delivery time was faster than expected. Couldn't be more satisfied! All the chambers have performed very well, met our specifications, and they were beautiful! Atlas Technologies is one little diamond in a vast wasteland of good intentions, their bimetal and aluminum products and problems solving, is a very unique skill set that is so...valuable.